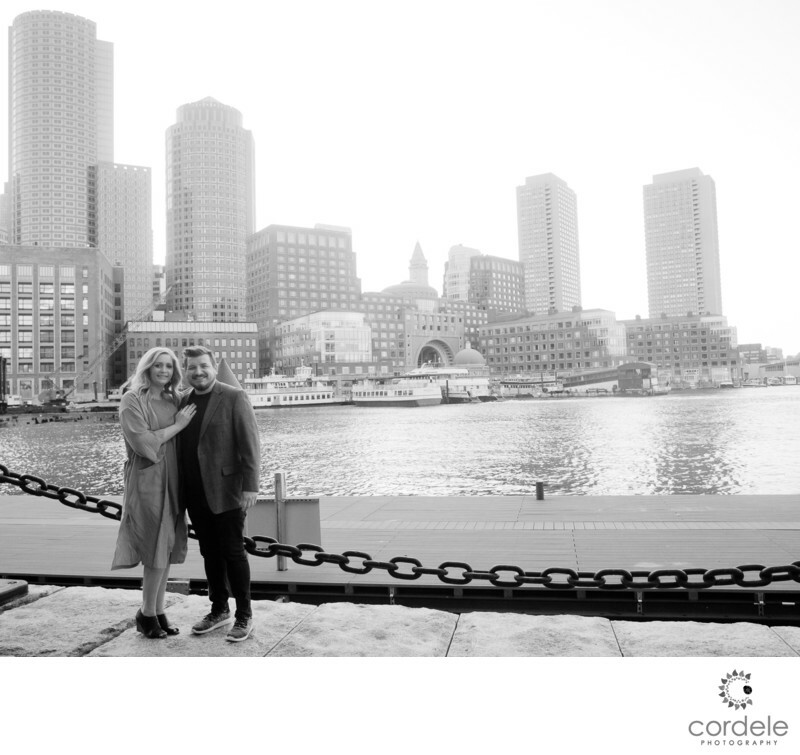 The Boston Harborwalk location featured in this photo includes a newly engaged couple during their engagement photos. It's one of the best locations for portrait photography that features the Boston Skyline and Boston Harbor. This portion of the Boston Harborwalk is located behind the Joseph Moakley United States Courthouse. It provides the perfect background for family and couples portrait photography. Interesting enough the Harborwalk is a 43-mile linear park around Boston's Shoreline! If you haven't walked it, you should! I've found this area located near the Seaport district and near Fort Point Park where the new Richard Martin Park is being built. Typically the best time of day to capture the skyline is after the sun is behind the buildings in late afternoon. With the sun hidden it casts soft light onto The Harborwalk and is attractive for photography. Location: 1 Courthouse Way, Boston, MA 02210. .